“The Politically Incorrect Guide to Climate Change” has sold out on Amazon.com after being designated a “best seller” by Amazon and ranking Number 1 in Climatology, Environmental Science, Nature and Ecology and maintaining a presence in the top 100 rankings of all books sold on Amazon. Walmart is now selling Morano’s book as well. The book is sold out on Amazon and “usually ships within 1 to 3 weeks” after they get a new shipment of. Walmart is also “out of stock” of Morano’s book. Target is also “out of stock” on the book. 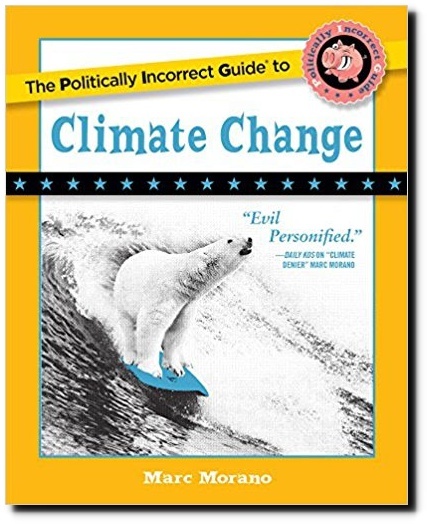 Climate Depot’s Marc Morano new book, The Politically Incorrect Guide to Climate Change has skyrocketed to number one in multiple Amazon book rankings including Nature & Ecology; Environment, Environmental Science, Climatology and more! In addition, the book has moved to #80 among ALL Amazon books in the rankings. “Impressive,” noted warmist filmmaker and author Randy Olson after reviewing the Amazon rankings of Morano’s book. “Um … everyone aware that Marc Morano’s new book is cracking the Top 100 on Amazon — a week after its release? 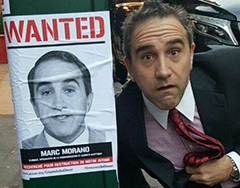 I’ve been warning for a decade about Morano’s gathering media strength,” Olson wrote on March 6. “I’ve tried to warn about Morano since 2008 when he was in my movie “Sizzle.” Better watch out, climate crowd. You laughed at Trump, time to stop laughing,” Olson added. “The book has rocketed to the No. 1 seller position in a variety of categories. That’s no surprise considering I read the first 188 pages in the first sitting alone before putting it down for the first time.” Morano’s renowned, upbeat attack-style comes through in full color. 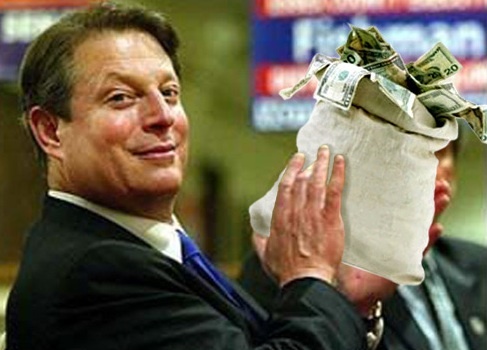 Not only is the book humorous, but it’s also chock-full with data, facts and recent hard scientific findings that will make the Al Gore-acolytes cringe in embarrassment. — Pierre Gosselin, No Tricks Zone website. The book has debuted to positive reviews. NoTricksZone Review: The book ‘exposes the hypocrisy of jet-setting, yachting & limousine’ driving Hollywood liberals. I couldn’t possibly recommend the following new book enough: The Politically Incorrect Guide to Climate Change. Marc Morano of CFACT’s Climate Depot. The book has since rocketed to the No. 1 seller position in a variety of categories. That’s no surprise considering I read the first 188 pages in the first sitting alone before putting it down for the first time. Viewed as the Prince of Darkness by climate-protection activists, Morano in his new book describes how he is, in fact, a real environmentalist and who, as almost every skeptic does, truly cares about the real environmental problems we face. However, one day back in 1992 the movement left him disenchanted after recognizing how leading green activists wildly exaggerated the situation in the Amazonian Forest and intentionally fabricated false stories of a world in environmental peril. For Morano, all the fabricated doom and gloom was just too much to take. The data didn’t fit, and the characters behind the movement were clearly driven by dogma. 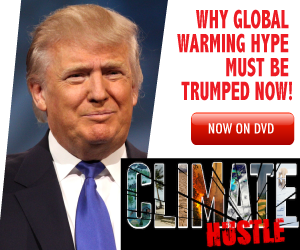 He has since become a hardened climate science skeptic – precisely the kind that is needed to critically research and expose the outright scandalous activism, deception, politicization, gross distortion and fear-mongering that climate “science” is fraught with. His book has done just that and with profound eloquence and success. Having received an advance copy, Marc’s renowned, upbeat attack-style comes through in full color. Not only is the book humorous, but it’s also chock-full with data, facts and recent hard scientific findings that will make the Al Gore-acolytes cringe in embarrassment. The book presents the strong arguments over a wide range of climate-related issues – from energy to natural climate factors, to weather anomalies, to sea level rise, etc. – in an easy to understand manner. It’s the book to go to if you’re having doubts about the alarmist science and the “green” direction we are being steered into. Morano’s book exposes the hypocrisy of jet-setting, yachting & limousine (driving) billionaire leftist elitists, who lead pampered lives in energy-guzzling mansions and private jets while preaching to the rest of us trying to make ends meet about the need to forego fossil fuels. After reading this book, there is only one conclusion a rational reader could possibly draw: Climate science is corrupt, wildly exaggerated and a hoax propagated by a cabal of leftist elitists. The climate issue is the greatest distraction of our generation and among the most monumental waste of resources in human history. Morano, however, does think Trump needs to do more because in his view “there is a huge vacuum when it comes to administration officials actually challenging climate change claims,” and that “this silence may result in only half-hearted measures to reverse Obama’s climate policies“. Yet, after reading Morano’s book, the skeptic warriors and climate realists can rest assured that a lot of things are going their way on a number of fronts. The climate scam is moving well beyond its best-before date. This book is the ultimate reference guide to climate change and no parent should be without a copy as their kids under climate education at school from elementary through college! Gore travels to Dubai, warns: ‘Global warming’ triggering ‘flying rivers, rain bombs’ – Gore issues new climate warning: Bizarre weather such as “flying rivers” and “rain bombs” are just some of the recent effects of climate change, warned former US vice-president Al Gore at the Global Education and Skills Forum (GESF) in Dubai on Sunday…global weather is becoming “extreme” and “disruptive”, mainly because of global warming, Gore explained.